-SG- Kaye Don is probably best known for his between the wars attacks on the Land Speed Record (unsuccessful) and on the Water Speed Record (successful). Earlier in the twenties he had raced two wheelers at Brooklands and despite switching to four wheels by the end of the decade, he seemingly retained his interest in bikes. 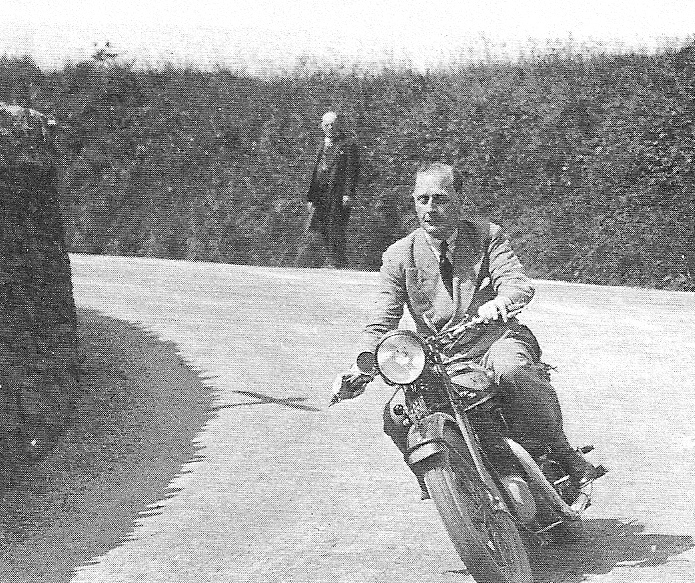 He was pictured in the Isle of Man in 1930 astride a Model 20 Norton - see pics. 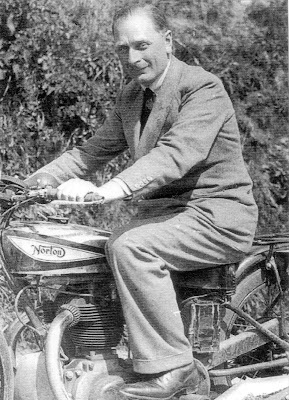 attached - and after the war, he founded Ambassador Motor Cycles at Ascot - producers of a not wildly inspiring range of Villers powered lightweights. Incidentally, during the late fifties/early sixties, who should be working for Ambassadors as a designer than Edgar Franks, known to Norton enthusiasts for the 1930/31 Norton 'cooking range' re-designs. The lining and panel on the plated tank of Kaye Don's Model 20 is remarkably similar to that of two Dutch OHV Nortons appearing earier on these pages (this one and this one) which made me wonder, momentarily, if perhaps that machine may also have been a Model 20, but a closer look seems to confirm it is indeed a Model 18. For what it's worth, one could reasonably draw the conclusion that 1930 plated tanks on the standard range were mostly finished in this way, although I have yet to see a restored bike with this tank finish/lining.